An acrylic. 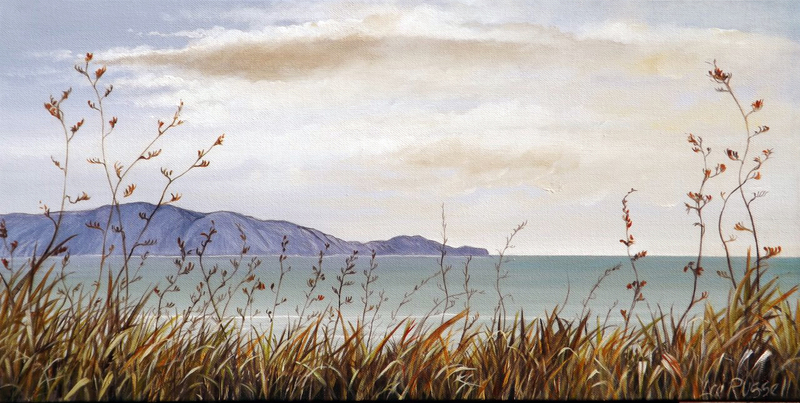 Our guess this is a view from Peka Peka beach, not strictly Waikanae. From the Artel Gallery website.